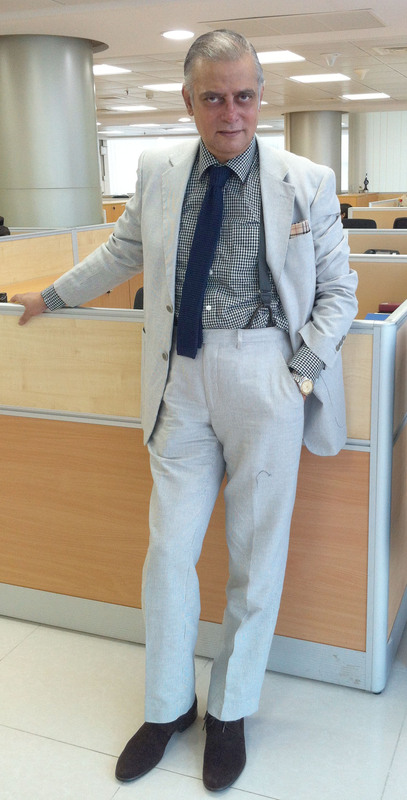 Today I am wearing a striped light gray, 2-button, notch lapel, linen/cotton blended suit; a black/white gingham handloomed cotton shirt with barrel cuff; silk knit ties; a Burberry check pocket square, and a pair of very dark brown (almost black) suede chukka boots. I am very excited about the shirt I am wearing. This is my first shirt made from handloomed cotton. It’s extremely comfortable. It’s soft and supple and this tailored shirt fits the body like a glove. It’s so light that I don’t feel like I am wearing a shirt! I have been so impressed with this shirt that I have already ordered a dozen similar shirts. 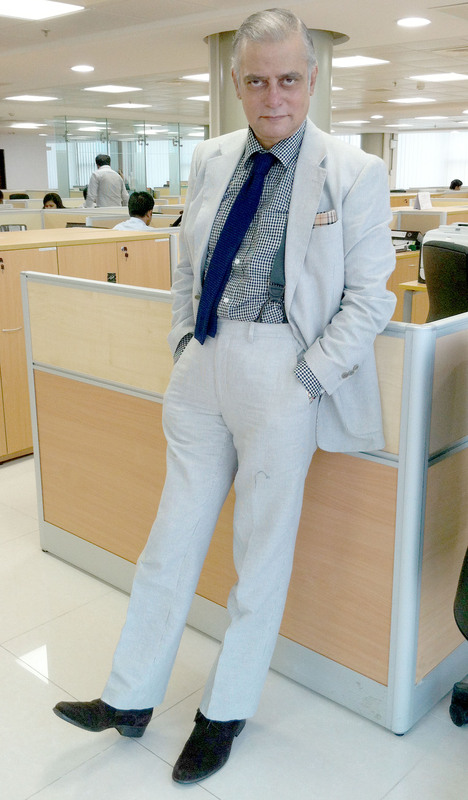 More on handloomed cotton shirts when I receive them. 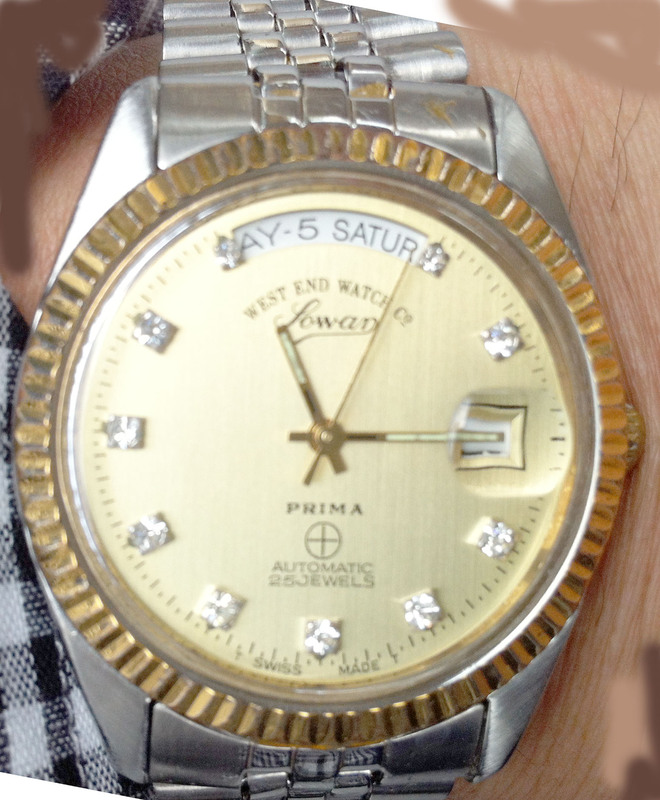 Today’s watch is a 1960 vintage West End Watch Company, Sower, Prima with day and date. The dial is adorned with 10 jewels. 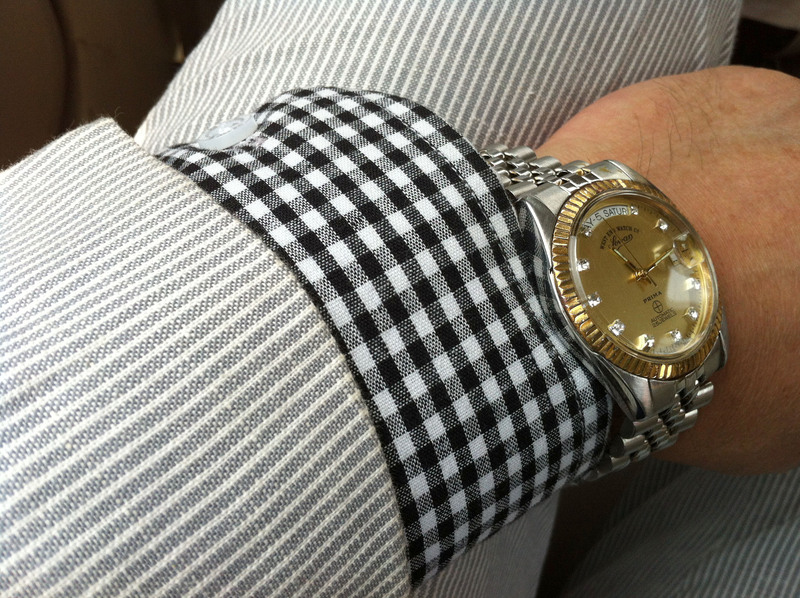 The watch has a similar look to a Rolex Oyster Perpetual.